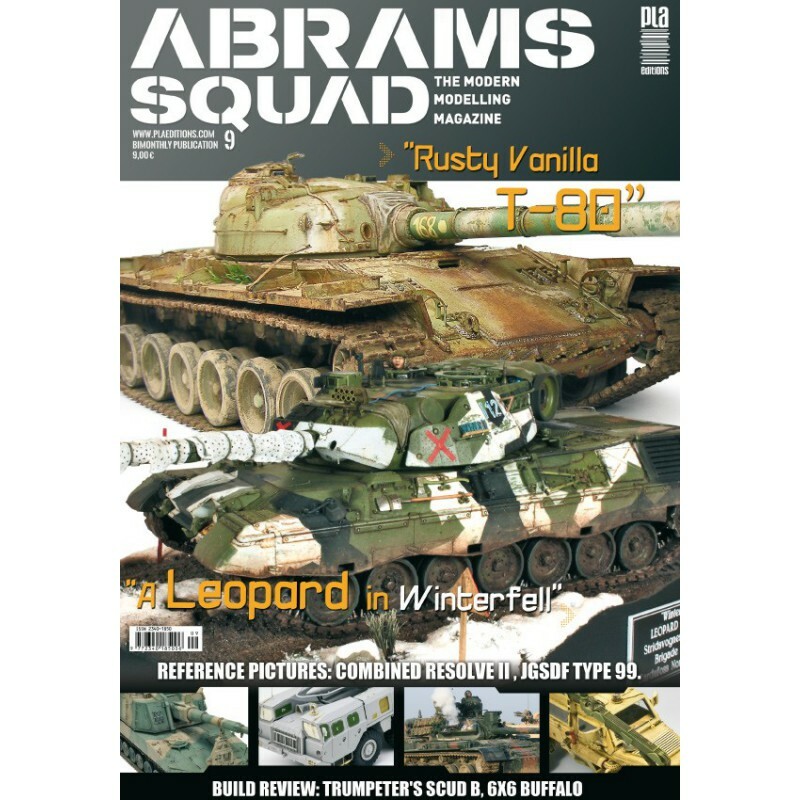 8 – Remote Thermal Sight: In this issue, an entire Squad has collaborated to finish the new SCUD B from Trumpeter. 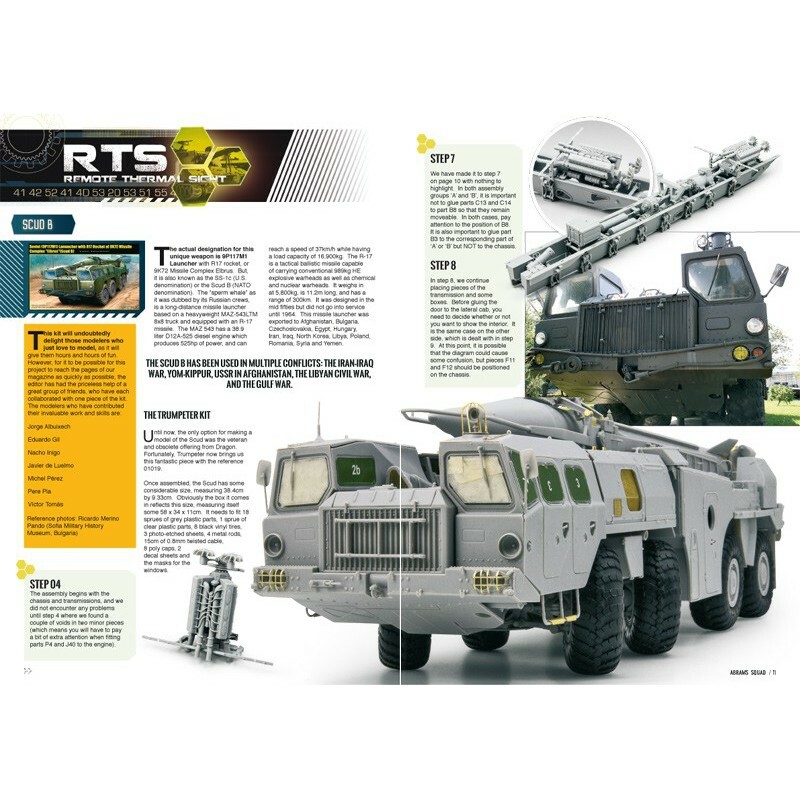 It’s an impressive model kit in all aspects that will make happy even the most demanding modelers. Take a look at this article and decide for yourself! 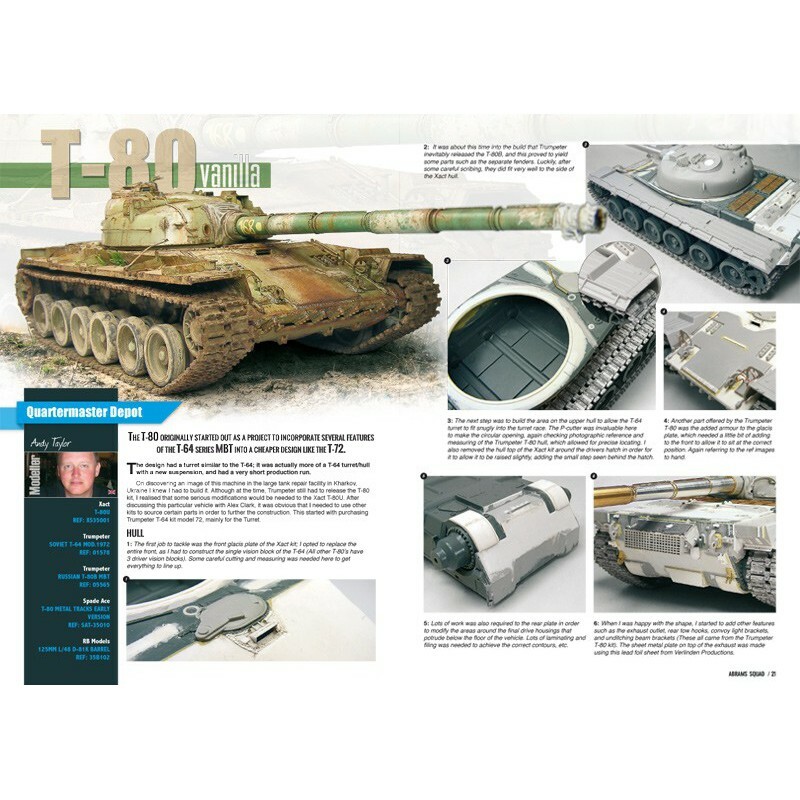 20 – T-80 Vanilla: One of the most talented specialists in Soviet tanks has linkedup with the team and will charm us with a real Frankenstein. With parts from four different kits and a lot of scratch, Andy Taylor accurately replicates one of the early T-80’s. 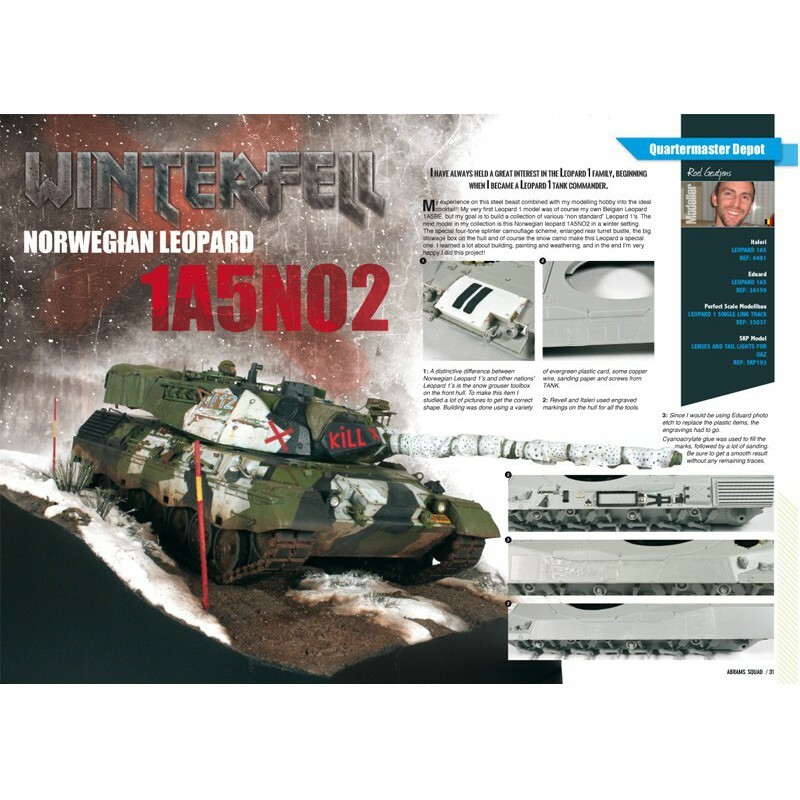 30– Winterfell – Leopard 1A5NO2 : As we promised in the previous issue, new recruits have joined the Squad. Roel Geutjens, an expert in Leopards (in the real world) astonishes us with a singular piece and an eye catching livery. We hope that you enjoy his article and that Roel will go on contributing his talent to this publication. 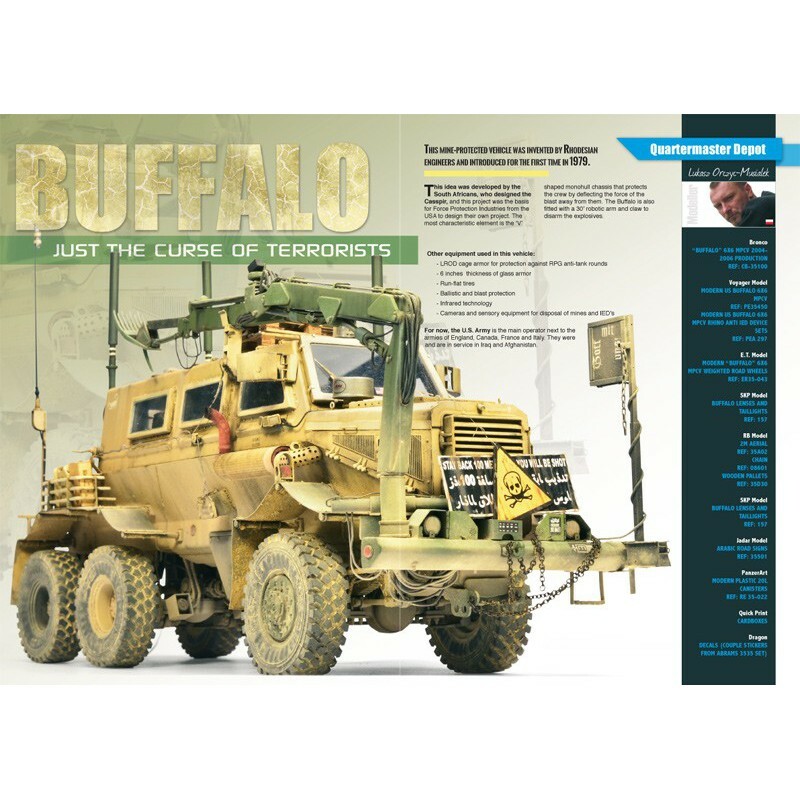 42 – Buffalo: After two contributions, Abrams Squad veteran Lukasz Orzic-Musialek changes his subject matter and shows us how to detail and improve a great three axled MRAP. The kit from Bronco is spectacular, and Lukasz never disappoints thanks to his talents and skills. 54 – Type 99 : And as these things always come in threes, Özgür Guner is another new contributor. In our quest to offer you all kinds of vehicles, we have asked Özgür to show his dexterity with this unusual SPH. 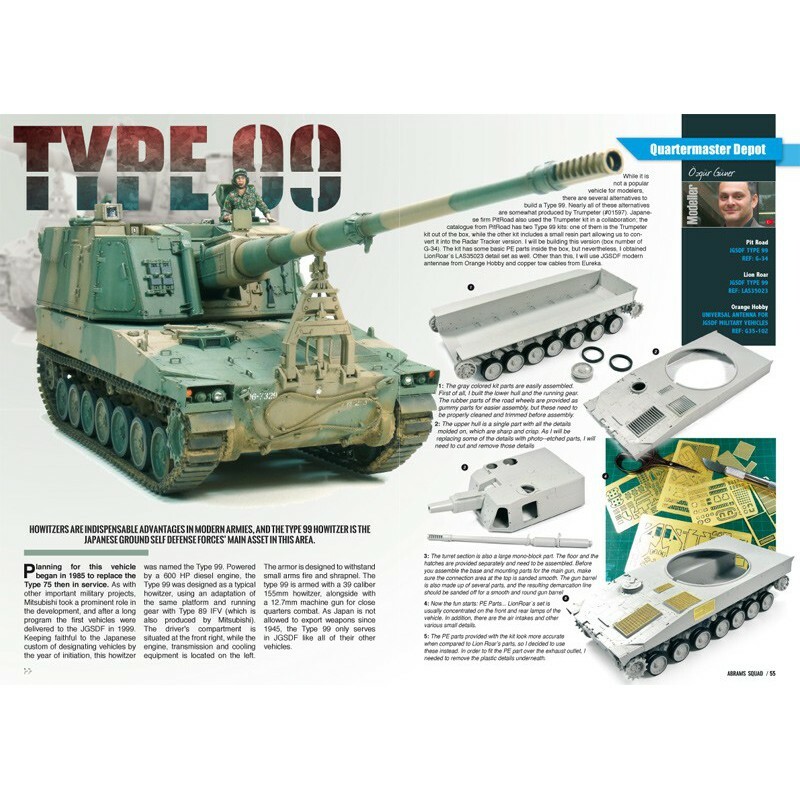 Since the Type 99 is only used by JGSDF, there is no doubt that this article will arouse your curiosity about this subject. 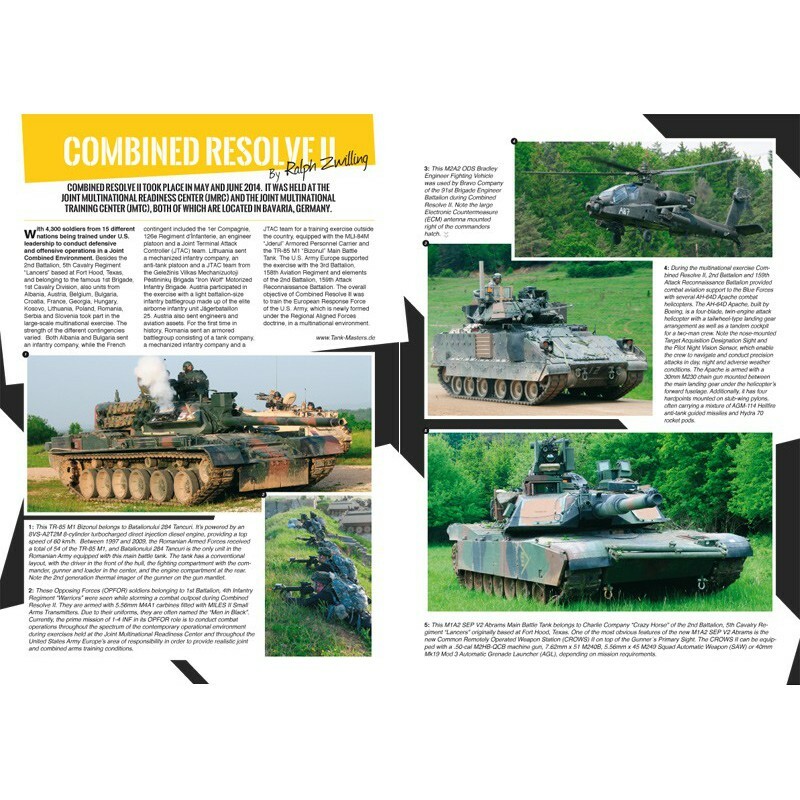 66 – Combined Resolve II : Ralph Zwilling, one of the most reputable reporters and authors of the modeling and military circle, offers us a great article with the most crushing images of these maneuvers made in Germany. 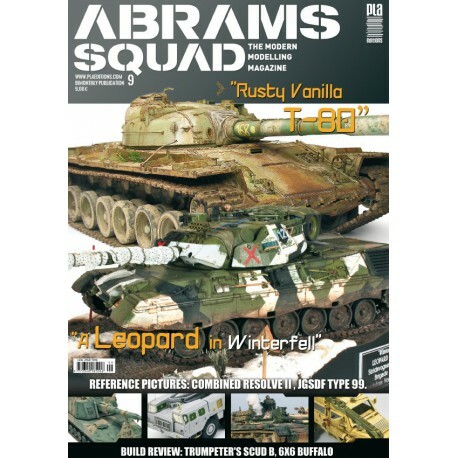 No doubt that you will find a handful of inspiring ideas for your next model.